ETP Bulldozes First, Asks Permission Later. Eight water protectors now face up to five years behind bars due to a new law targeting pipeline opponents. 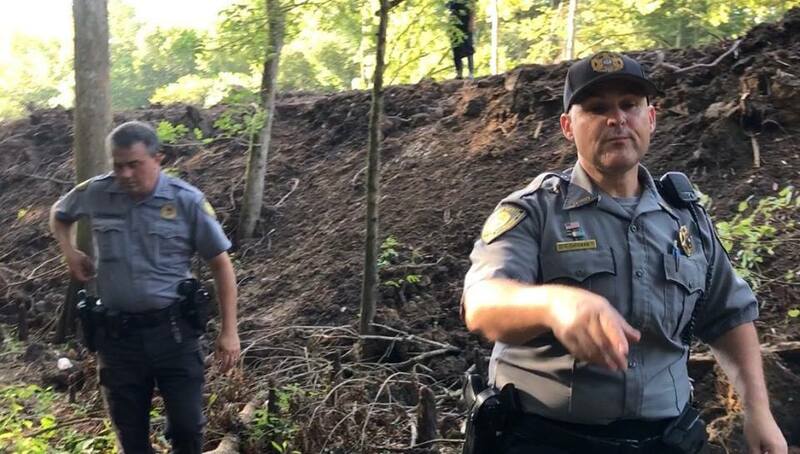 They were arrested and charged with interfering with “critical infrastructure” — in this case the Bayou Bridge Pipeline being built by Energy Transfer Partners (ETP) through the ancient cypress forests within the Atchafalaya Basin. The circumstances of the arrests show the degree to which pipeline companies have been able to bend the legal system to their will in the wake of the thousands-strong Dakota Access pipeline resistance in 2016 and 2017. ETP bulldozed private property without authorization. Louisiana law requires pipeline builders to either secure authorization from landowners prior to initiating work within private property, or to secure authorization from the court via condemnation proceedings under eminent domain laws. But ETP had secured neither when it began construction through the property water protectors had been defending. ETP claims to have permission from a minority of the up to 800 owners of the property, but didn’t seek authorization from the court until attorneys for one of the property’s co-owners requested an injunction to stop construction according to reporting by The Intercept. Courts are now scheduled to hear the injunction request on Sept. 10 and will hear ETP’s condemnation request on Nov. 10. Meanwhile construction within the property continues. ETP paid for the arrests. Off-duty law enforcement officers employed as private security contractors for ETP arrested the water protectors — including one who was tased and marched off the property without their shoes. ETP’s friends drafted the law. Enacted on August 1st, HB727 enhances penalties for trespassing or otherwise interfering with “critical infrastructure” including pipelines. Eight other states have adopted similar measures, and many others have legislation pending. Many of them follow a template developed by the American Legislative Exchange Council (ALEC), a network of conservative state lawmakers and corporate lobbyists including those representing the American Petroleum Institute (API). So to recap, ETP hired local police to violently clear a path for its pipeline through private property despite lacking clear legal authority and then jailed its opponents thanks to a law crafted by its industry’s trade association and passed by paid-for politicians. Louisiana Justice! Meanwhile Wall Street is salivating over the recently announced merger of ETP with its parent company ETE, an expensive gambit by CEO Kelsey Warren to minimize long-term taxes and maximize returns to investors made possible by expected revenues from Bayou Bridge, Dakota Access and other pipelines aimed at moving crude oil from fracking wells in the nation’s interior to lucrative markets abroad. That’s bad news for water protectors — following the merger, the new company is expected to be better positioned to expand oil pipeline development. But good news for the ETP’s financiers including Citi and Barclays, who stand to earn millions in fees as advisors on the $27 billion deal. This is exactly what is happening that Naomi Klein describes in her book “No is not enough”. Scary! 🙁 What can we do?